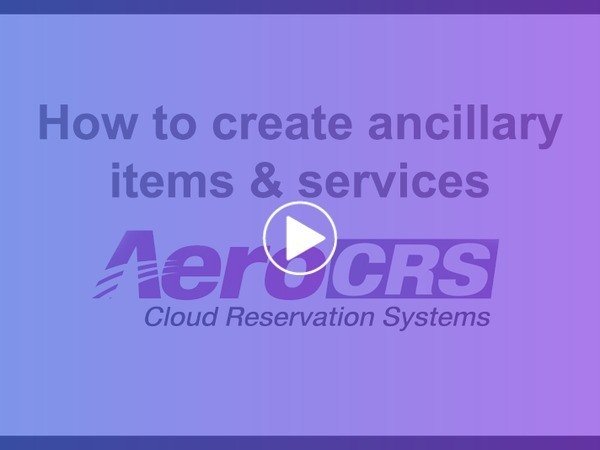 In this article you will learn how to create an ancillary service in the system and later creating it as a service in a PNR. Ancillary services are added items/products that the airline can provide the customers e.g. excess baggage, sport equipment, meals etc. Ancillaries will always be attached to a specific flight and a specific passenger, while we can adjust various limits on the ancillary type. Name - Will appear in the PNR and system printouts. Description - Will appear in the ancillary description for in web bookings. Service dates - Flight dates applicable to this ancillary. Quantity - Limit the QTY per flight or 0 for unlimited. From-To & Class - Leave empty for no restriction. Image - The image uploaded through "Website"->"Storage" to appear in web bookings. You can add as many ancillary items to a specific ancillary type, the restrictions (if any) are applied to the ancillary type only. Note that you can add multiple ancillary services to a PNR up to the ancillary type qty restriction (if set) for a flight.